A UK viticulture app delivering weather forecasts and alerts, viticulture-weather updates, analysis and insights. Download for iOS and Android today. 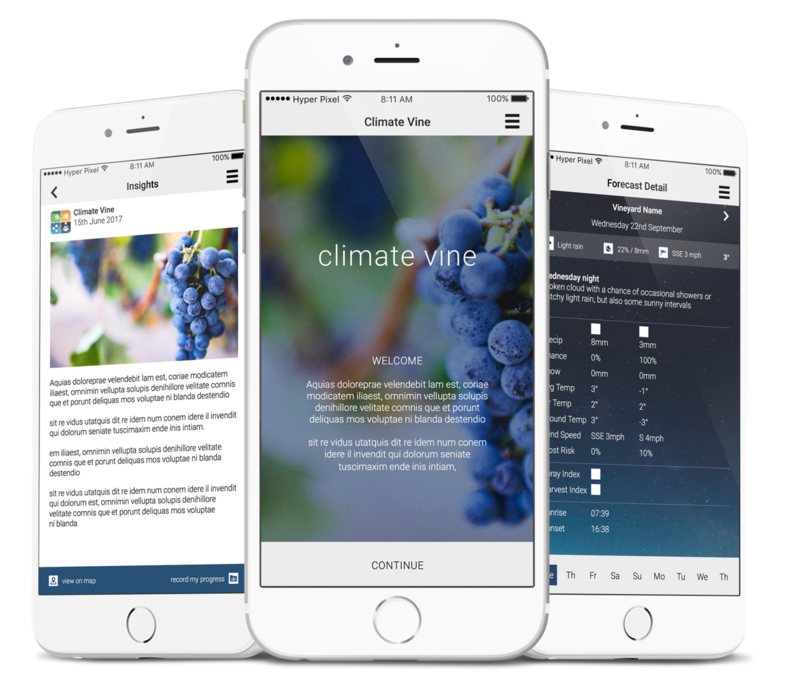 The Climate Vine app uses weather, climate and viticulture science to help UK vineyards. 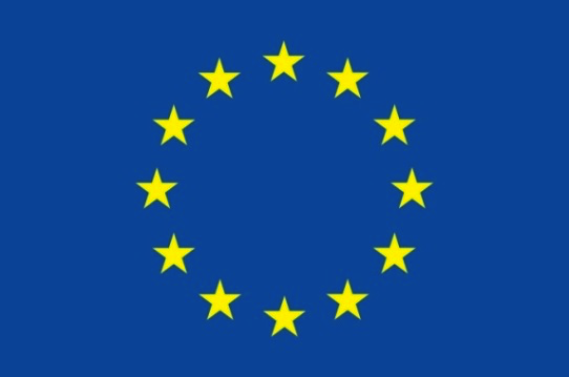 It was co-developed through a project with Weatherquest Ltd., the United Kingdom Vineyards Association (UKVA), the National Institute of Agricultural Botany – East Malling Research (NIAB EMR), and Exeter University, to facilitate a more sustainable UK viticulture sector. The app offers UK grape growers a unique opportunity to monitor, manage, and record growing-season weather impacts on UK grape yields. Relatively low and variable grape yields in the UK can in-part be directly attributed to unfavourable weather and climatic conditions. However, related factors such as disease pressures, slow or poor management responses to weather conditions, or lack of knowledge regarding appropriate varietal-climate suitability in the UK, also negatively impact the sustainability of production. We are aiming to increase the amount of high quality wine produced in the UK by monitoring and raising awareness of growing-season weather, phenology, and grape yields. The Climate Vine app fosters knowledge exchange, increases yields and grows a body of information which is useful to everyone working in the sector. 1: Delivery of viticulture specific weather forecasting services for UK vineyards including: current weather conditions, 5-10 day weather forecasts, extreme weather alerts, and spray and harvest warnings. 2: Presentation of national, regional and vineyard area weather data to track how the season is progressing against a 10-year average and the previous year, relative to the rest of the UK. 3: Uploading and recording key phenology, disease, harvest, and yield variables by users. 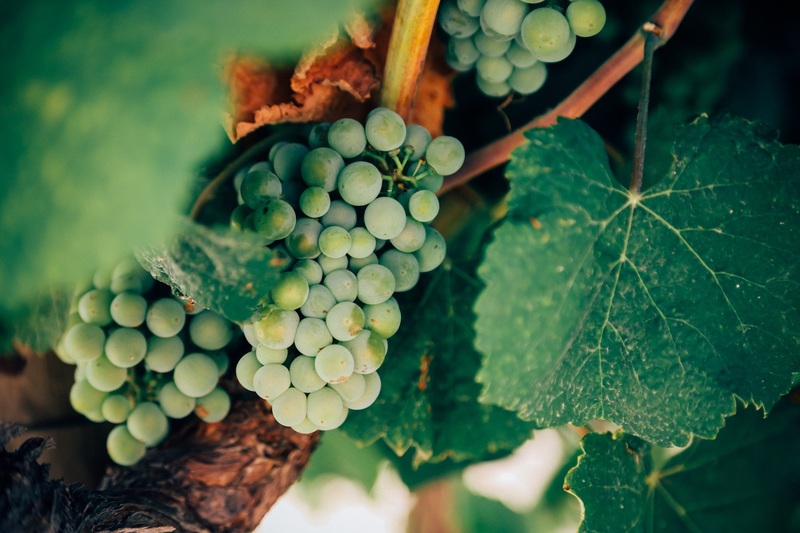 The VitiCE project delivers weather and climate related service provision to UK vineyards to facilitate a more sustainable UK viticulture sector. Through the project an app has been developed (Climate Vine) to offers UK grape growers a unique opportunity to monitor, manage, and record growing-season weather impacts on UK grape yields. Click here to download the project report. Click here to download the project presentation.